PRINCETON, N.J. — Losing a job often leads to lower earnings that stretch long beyond the time of unemployment. Yet it's hard to know exactly what causes these lower lifetime earnings. For displaced workers in Washington state during the Great Recession, earnings dropped suddenly and had still not fully recovered five years later, according to a working paper by labor economists at Princeton University, Michigan State University and the W.E. Upjohn Institute for Employment Research. Following job displacement, earnings were slashed nearly in half, almost entirely as a result of reduced work hours. But five years later, displaced workers who had reentered the workforce still earned 16 percent less than comparable workers who had not been displaced. About 45 percent of these long-term earnings losses resulted from reduced work hours, and about 55 percent from lower hourly wages. The majority of displaced workers came from three industries: manufacturing, trade, and professional services like real estate, finance, and management. "While these displaced workers' earnings followed the familiar pattern of 'dip, drop, and partial recovery,' this wasn't the case for hourly wages," said co-lead author Alexandre Mas, professor of economics and public affairs at Princeton's Woodrow Wilson School of Public and International Affairs. "While overall earnings eventually bounced back as workers' hours increased, the hourly wages themselves dropped quickly following job loss — and never really recovered." The findings have clear implications for policy. The authors suggest that displaced workers' losses occur mainly because of the loss of a favorable job match, or because displaced workers' accumulated skills were valued only by the employer where they had been employed. Effective reemployment services could help a worker reestablish a good job match or become reemployed quickly and start re-accumulating firm-specific skills. The researchers looked at workers who had worked for at least six years for the same employer and lost their job as a result of a mass layoff between 2008 and 2010. They compared these displaced workers with workers who also had at least six years with the same employer between 2002 and 2007, but continued to be stably employed. The estimates are based on administrative records kept by the Employment Security Department of Washington State, which documented both earnings and work hours. The records span 2002 to 2014 and include workers who claimed unemployment benefits and registered with the public labor exchange. The dataset is one of the only sets in the country that could enable the researchers to calculate hourly wages. All employers and workers covered by unemployment insurance are known. Information on workers who left Washington is not available. The researchers found that workers displaced in Washington during the Great Recession suffered earnings losses similar to those in Pennsylvania during the 1980s, in Connecticut during 2000-2001, and in the United States nationally between 1980 and 2005. Mas's co-authors are Marta Lachowska from the W.E. Upjohn Institute for Employment Research and Stephen A. Woodbury of Michigan State University. The research was financially supported by the Washington Center for Equitable Growth and the Russell Sage Foundation. 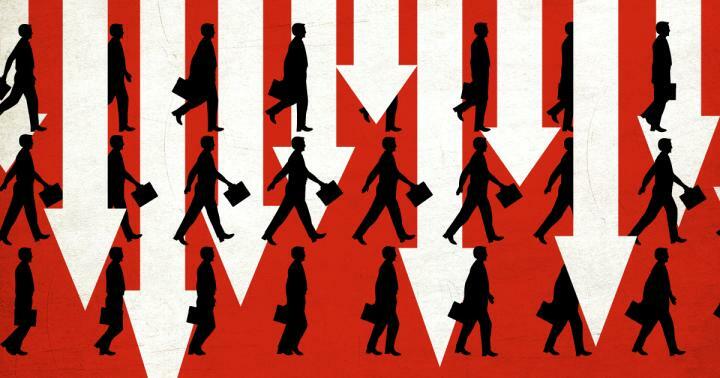 The paper, "Sources of Displaced Workers' Long-Term Earnings Losses," was published as a working paper by the National Bureau of Economic Research and was not peer-reviewed or subject to the review by the NBER Board of Directors that accompanies official NBER publications.